by ChantelRall.In Uncategorized.Leave a Comment on Marais holds on for another race!  Stuart Marais has held onto his lead in the BIG5 Sport Challenge following the penultimate event, the Totalsports XTERRA presented by REHIDRAT® SPORT, which took place yesterday at Conrad Pezula’s Field of Dreams. Stuart was the first BIG5 athlete to cross the line in a time of 1 hour 36 minutes 12 seconds, behind the overall winner Bradley Weiss, who clocked an impressive 1 hour 35 minutes 26 seconds. The result means Marais is still a point ahead of Theo Blignaut who finished 6th overall and second BIG5 contender. Race Director Gary Marescia said that Marais has “a commanding lead. This is an extremely tough event, and conditions today were brutal. Both runs were incredibly technical with lots of clay and single track. The 22km cycle was incredibly muddy and cyclists were coming back to the transition area caked in mud and barely recognisable. With the challenging route and muddy conditions riders did well not to fall and bike handling skills and being able to conserve equipment were vital for a successful race. Marais said that he was “a little disappointed but not that disappointed. Brad has done really well over the last couple of months and won some big races overseas. He was the stronger man today and I’ll take second place proudly behind him. Today is a rest day for the athletes before the Momentum Cape Times Knysna Forest Marathon Half Marathon. The BIG5 multi-sport challenge is a highlight on the annual Pick n Pay Knysna Oyster Festival programme, which kicked off on Friday 3 July and ends 12 July. The athletes have already completed the Momentum Weekend Argus Knysna Cycle Tour presented by Rotary 80 km MTB, the Knysna Dragons Lagoon Mile, the 14 km The Salomon Featherbed Trail Run presented by GU and today’s Xterra.